According to the latest online statistics, there are more than a billion websites currently running online today. In other words, that's one website for every seven people living in the world. If you consider the fact that not all of the countries across the globe have a stable internet connection, and that a good percentage of our population are children too young to build websites, or pensioners too old to understand the internet, then you can get a better grasp on just how big that number is. The reason that there are so many websites out there today, is that it's incredibly easy to build and launch your own online presence with the help of an effective content management system. A CMS can allow the average website user to create a stunning website, packed full of useful information for their customers. You can also use your CMS to tweak your website, add plugins, and manage content without having to learn anything about coding. 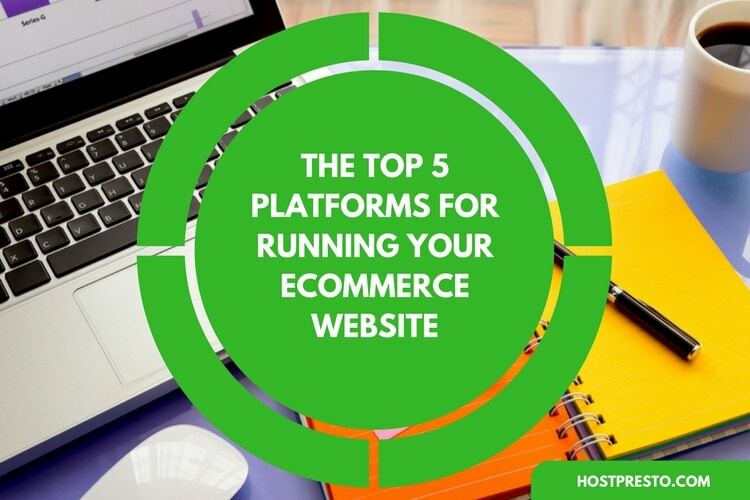 Importantly, there are dozens of different CMS platforms available in the marketplace today, but we don't generally use most of them. Instead, most people stick to using a few of the most popular options online, including Joomla, Drupal, and of course, WordPress. WordPress currently holds more than 50% of the market share for CMS solutions online, and Joomla and Drupal are following behind with about 5 and 6% respectively. There is also a range of other entrants to the CMS space that has been growing recently, such as Magneto, Shopify, and more. 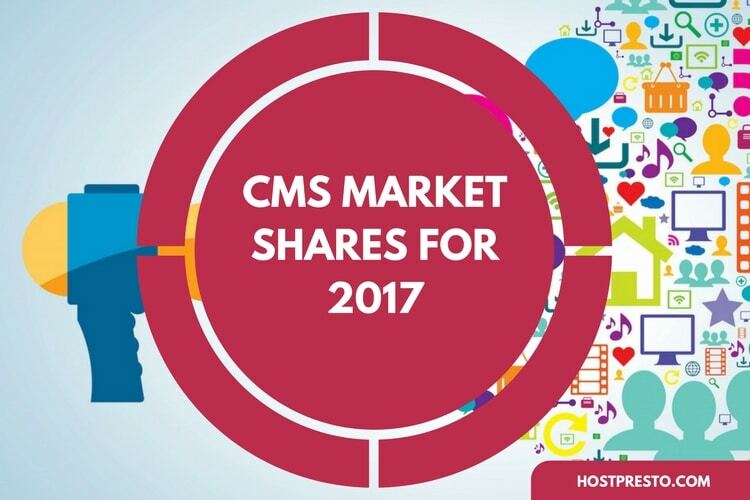 Here, we're going to take a look at the average market share that each CMS in the top share has now that we're coming to the end of 2017. Keep in mind that these numbers are only approximate insights into the overall impact of each CMS. WordPress is the leader by a long-shot when it comes to CMS market share, with a percentage of around 58.8%. According to some statistics, there are currently more than 20 million WordPress websites running today. In the top one million websites ranked throughout the world, WordPress is responsible for about half of the sites you use every day. Some of the most popular sites built using WordPress include Forbes, The New York Times, and even the Facebook blog. Joomla ranks at second place for the highest market share behind WordPress with around 6.5% of all customers. There are more than 2 million active sites running with Joomla today, and some of the most popular sites in the world using the Joomla CMS include OpenVPN and the UK National Crime Agency. Recently, Drupal has been gradually emerging as a more popular CMS for a lot of companies around the world, but it's still in third place for market share with around 4.8%. Today, there are around 1,194,014 Drupal sites running on the World Wide Web, including the Twitter Blog, the Linux website, and the Harvard University website. Blogger is a far lesser known option for a CMS when compared to options like Drupal, and Joomla, but it still has a reasonable market share at around 2.5%, which brings it just above Magneto. There are 798,125 sites actively using Blogger today, including "Post Secret". Magneto is another CMS that has been gaining popularity recently. Currently, it only has about 1.5% of the market in its grasp, meaning that there are around 501,036 websites running with the help of Magneto right now. Some of the most popular websites using Magneto include Kinguin and G2A. You might not have heard people talking about Typo3 as a CMS system as frequently as Magneto, but this CMS actually has the same market share as Magneto with 1.5%. There are currently around 425,730 active sites online using the TYPO3 framework, including Sedo and Parallels. A CMS that has started to grow rapidly in popularity over recent years, Bitrix currently has about 1.4% of the market share, with an active site number of about 217,541. There are various sites online that are currently simplifying their operating processes with the help of the Bitrix framework, including Eldorado and Citrus. However, Bitrix is only responsible for about 4,057 websites in the top million sites online today. PrestaShop enter the market just below Bitrix with a market share of around 1.3%. Although there's no entirely accurate number available at this time for the number of websites that run using the PrestaShop framework, estimates place the figure somewhere around 250,000. The GeneveCompany website and the Decathlon website both run on PrestaShop. Shopify has emerged as a very popular CMS in 2017, but it still only has about 1.3% market share, and around 201,900 active sites running today. Some of the most popular sites built with Shopify include Tattly, and SMSAudio. Finally, SquareSpace has a market share of approximately 1%, which means that there are around 233,752 active sites built with the SquareSpace CMS. Among those sites are favourites like the TrustPilot blog, and Slidebean.